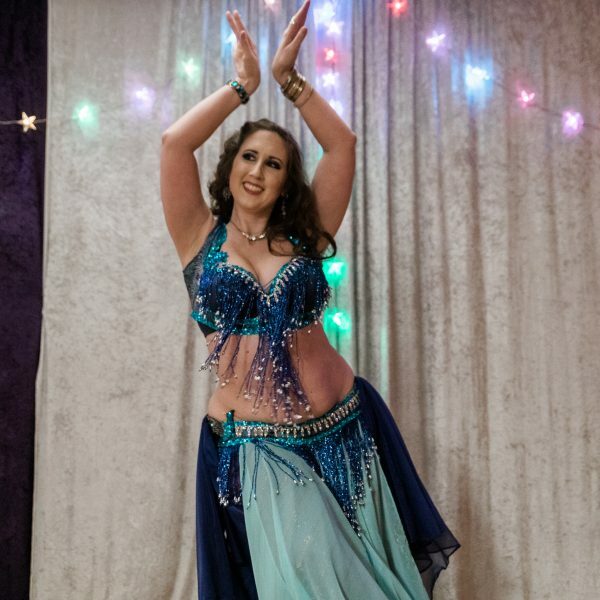 Sumaya is a professional Egyptian style belly dancer in West Virginia. She has been entertaining at Arabic and Indian themed weddings for over 15 years. Sumaya also performs for bridal showers, birthday parties, and girls’ nights out. 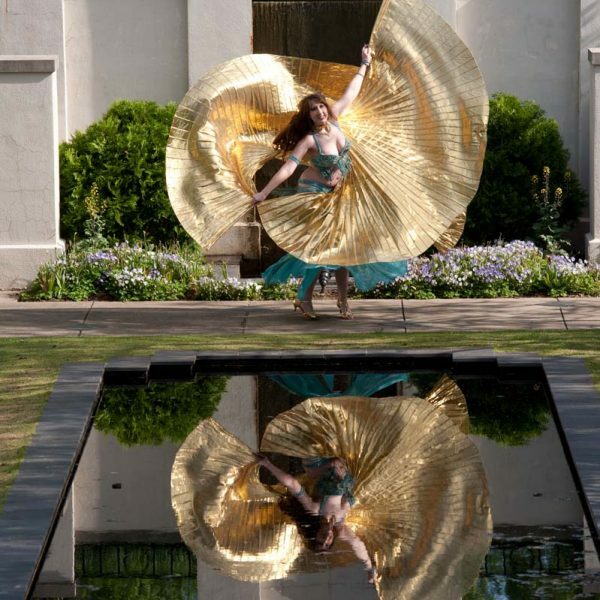 Weddings, birthdays, fundraisers and corporate events, professional belly dance is sure to be a hit with your guests. This 15 minute show is perfect for anyone who wants to add a touch of excitement to their event. Sumaya will enter with dramatic veil work or Isis wings, dance with the guest of honor and dazzle the audience with a drum solo! Transport your girls night in to the middle east with an energetic belly dance show followed by lessons for you and your guests. Hip scarves will be provided for the guest of honor. Add layers of entertainment to your event with a full show. 30 minutes of dancing is split up between costume changes, new props, and music varieties highlighting many distinct dance styles native to Egypt and the Middle East. What has Sumaya been up to? Sumaya has been honored to perform for audiences across the eastern United States including Alabama, Georgia, North and South Carolina, Ohio, West Virginia, Pennsylvania and New York.